Join Fraternity and Sorority Life! The fall provides many wonderful opportunities for new and returning students to get involved on campus. Our three governing councils are hosting several events that will help students better understand what fraternity and sorority life is and how to join. 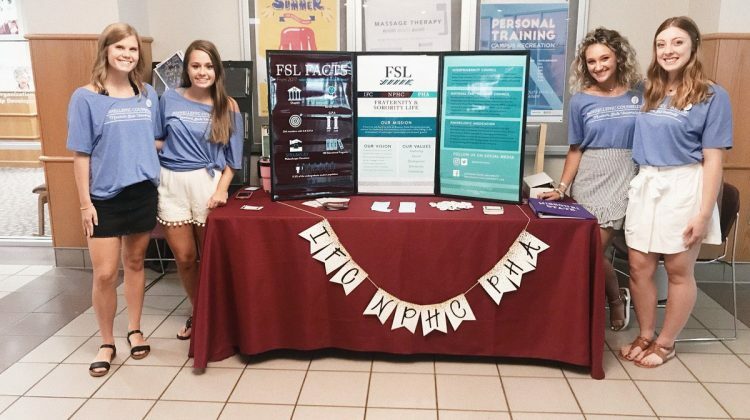 On Sunday, August 19th at 1:00pm, Fraternity and Sorority Life is hosting FSL 101 in the Plaster Student Union … [Read more...] about Join Fraternity and Sorority Life! What Does Student Affairs Mean to You? A Conversation with Dr. TaJuan Wilson, Ed.D. Zoë Pixler, Family Orientation Coordinator, sat down with Dr. TaJuan Wilson, Ed.D., Executive Director, TRIO Programs and Multi Student Retention to ask the question “What does Student Affairs mean to you?” (Second in a series of articles about the Division of Student Affairs at Missouri State.) What is your official title and what are your daily duties? I am the … [Read more...] about What Does Student Affairs Mean to You? A Conversation with Dr. TaJuan Wilson, Ed.D.